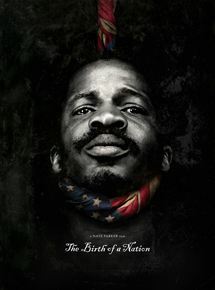 Très ému devant une salle comble, le jeune cinéaste afro-américain Nate Parker a présenté au Festival international du film de Toronto son nouveau film, The Birth of a Nation. The Birth of a Nation, la naissance d’une Nation, raconte une histoire vraie. Celle de Nat Turner, un esclave noir, qui dans les années 1830 conduisit, en Géorgie, une révolte d’esclaves. Pour raconter la vie de cet homme hors du commun, véritable héros pour la communauté afro-américaine, Nate Parker ne recule devant aucun effet. Son film tend au maximum la corde de l’émotion. The Birth of a Nation est un électrochoc, un film qui entend provoquer, à l’instar de son titre, inspiré par le classique de D.W. Griffith. À sa sortie, voici un siècle, celui faisait déjà scandale pour son racisme éhonté. On tremble, on pleure, en voyant le quotidien atroce des esclaves dans le Sud : cette petite fille blanche qui court en tirant à la corde une esclave noire, les hommes exploités, torturés, massacrés, ces millions de vies brisées… Le film de Nat Parker a déjà été acheté pour la somme colossale de 17 millions de dollars par un grand studio, la Fox. Nul doute, sa réception triomphale ici à Toronto, lui servira de tremplin parfait pour les Oscars. Having read this I thought it was rather informative. I appreciate you taking the time and effort to put this informative article together. I once again find myself personally spending a significant amount of time both reading and leaving comments. But so what, it was still worth it! I absolutely love your blog and find nearly all of your post’s to be just what I’m looking for. can you offer guest writers to write content for you? I wouldn’t mind producing a post or elaborating on a number of the subjects you write regarding here. Again, awesome blog! Thanks for sharing superb informations. Your site is so cool. I’m impressed by the details that you have on this website. It reveals how nicely you perceive this subject. Bookmarked this website page, will come back for more articles. You, my pal, ROCK! I found simply the information I already searched all over the place and just could not come across. What a great site. I like this post, enjoyed this one appreciate it for putting up. « The difference between stupidity and genius is that genius has its limits. » by Albert Einstein. I have been exploring for a bit for any high-quality articles or blog posts in this sort of space . Exploring in Yahoo I at last stumbled upon this website. Reading this info So i am happy to express that I have a very good uncanny feeling I came upon just what I needed. I most definitely will make certain to don’t put out of your mind this web site and provides it a glance regularly. Very interesting topic, thanks for putting up. « Nothing great was ever achieved without enthusiasm. » by George Ellis. excellent points altogether, you just gained a logo new reader. What might you recommend about your publish that you simply made a few days ago? Any certain? Thank you, I have recently been looking for info about this subject for a while and yours is the best I have found out so far. However, what about the bottom line? Are you certain about the source? What’s Happening i’m new to this, I stumbled upon this I’ve discovered It absolutely useful and it has aided me out loads. I am hoping to contribute & assist other customers like its aided me. Good job.